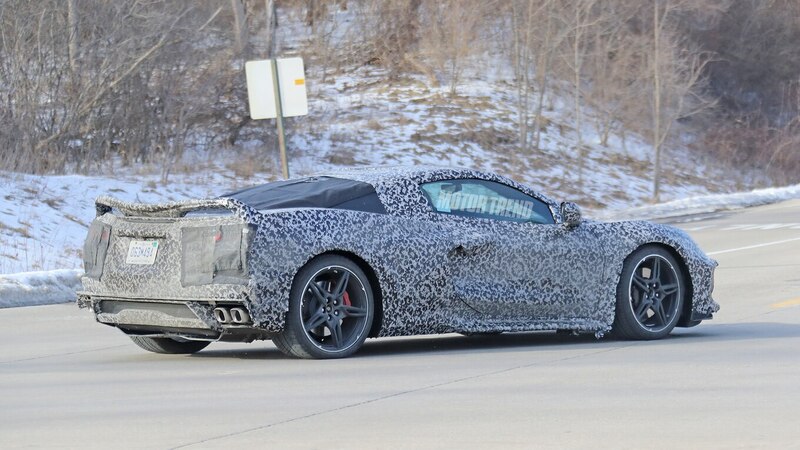 Yesterday, our friends over at Hot Rod caught a small fleet of mid-engine Corvette prototypes out on public roads. 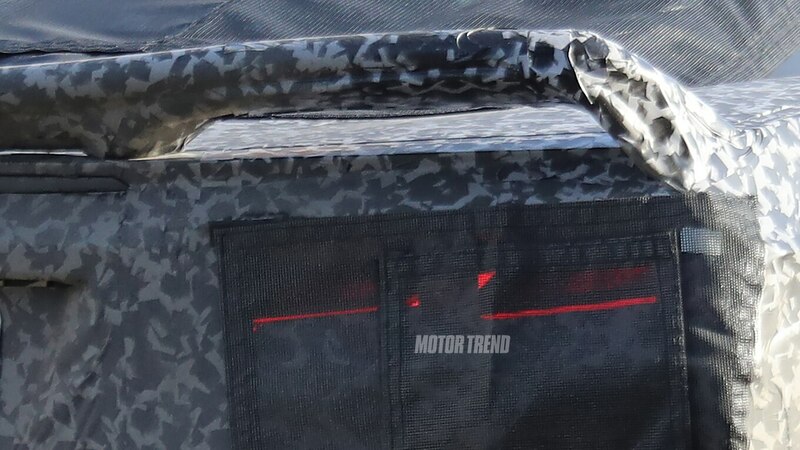 Because we’ve never seen more than one testing at the same time, we thought it was a pretty cool catch. 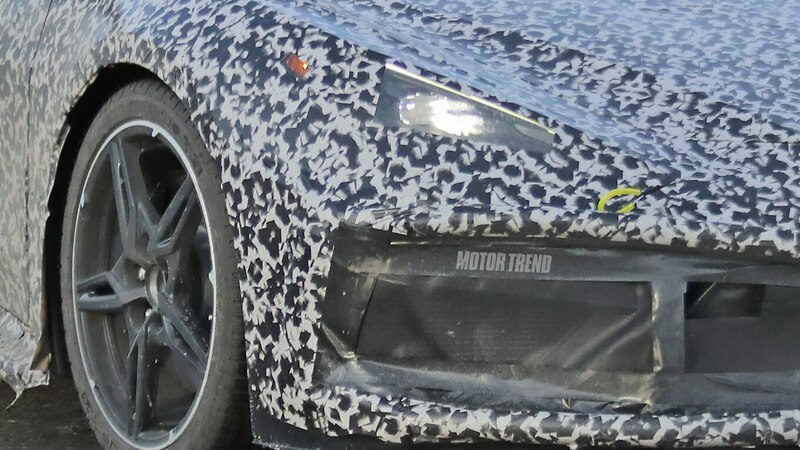 Since they were all so heavily camouflaged, though, there wasn’t much we could say other than, “Here they are.” But today, another one of our spy photographers sent us a huge gallery of one of the least-camouflaged C8 prototypes we’ve seen to date. 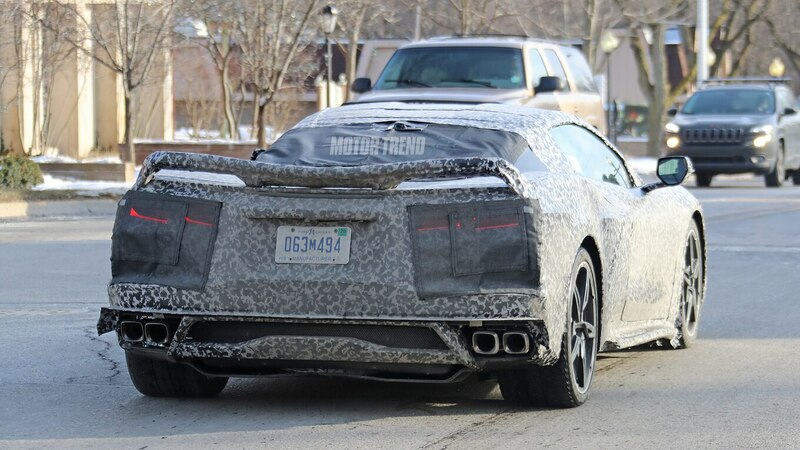 One of the first things that stands out to us is the batwing-like rear spoiler, which represents a huge departure from past prototypes we’ve seen. 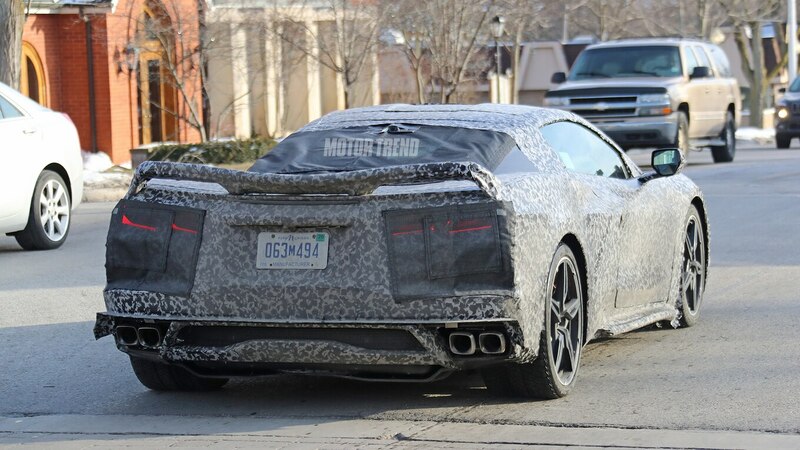 That could mean this version is some sort of high-performance model, but you never know. 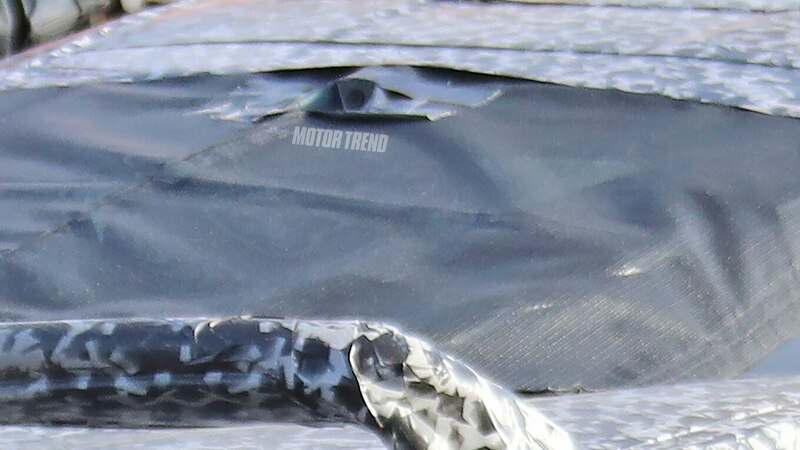 There’s also something new mounted on the driver’s side of the hood, which could be a testing device, but there’s no way to tell just yet. 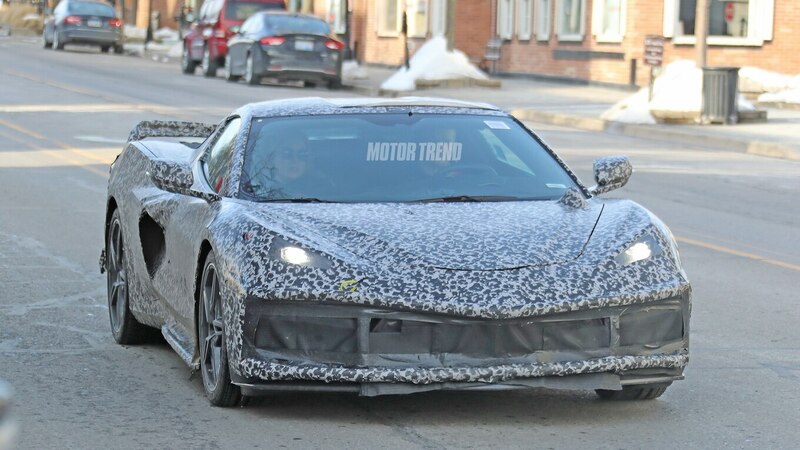 Maybe it’s an external tachometer? 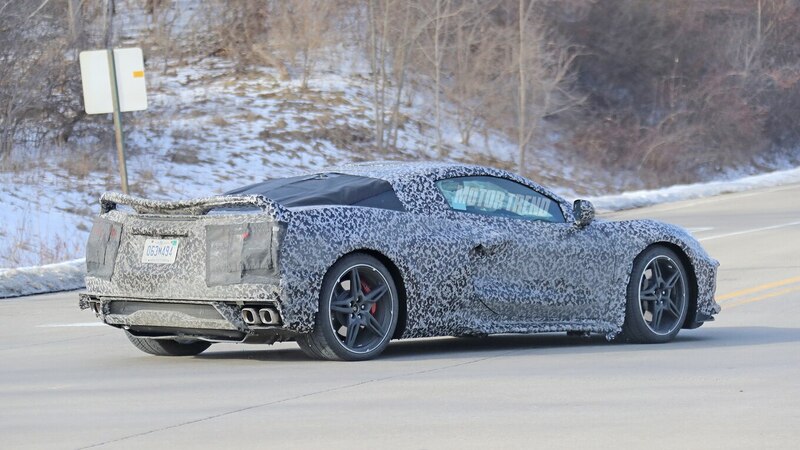 This mule appears to wear the same five-spoke wheels we saw on a car testing on the Nurburgring last year. 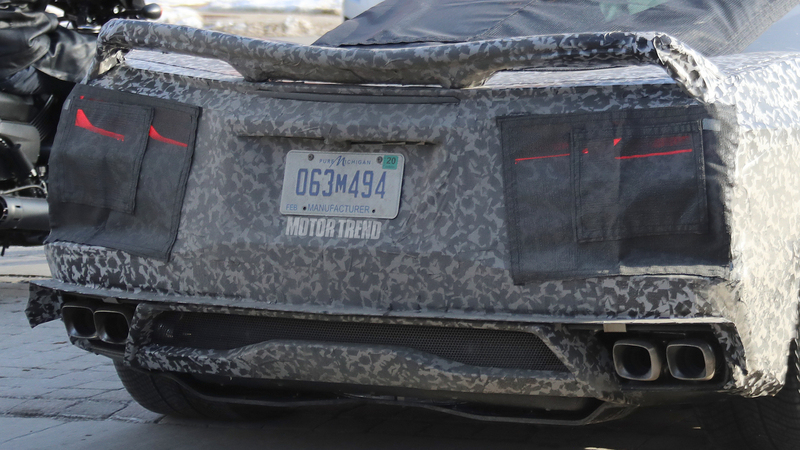 Even though most of the car is disguised with little more than a wrap, Chevrolet made sure to keep the front and rear ends under much heavier camouflage. 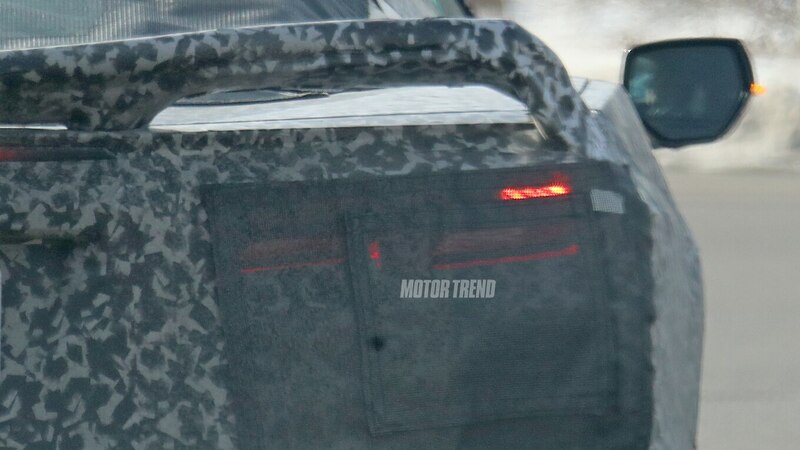 Looking more closely, it’s still a little hard to make out the shape of the headlights, but they do appear to be LED clusters with a turn signal closer to the wheels. 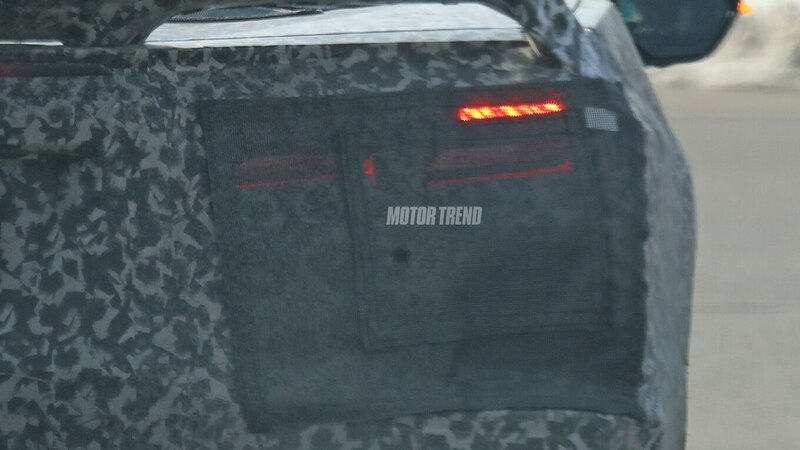 Around back, you can also get a good idea of what the taillights will look like even though Chevy tried hard to cover them up. 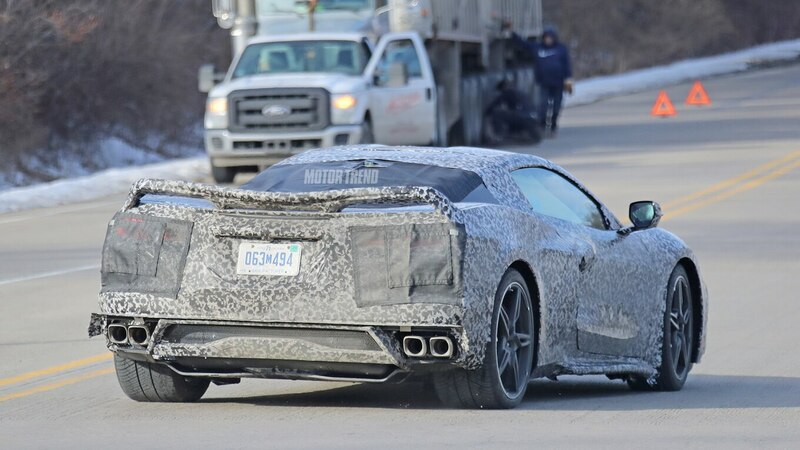 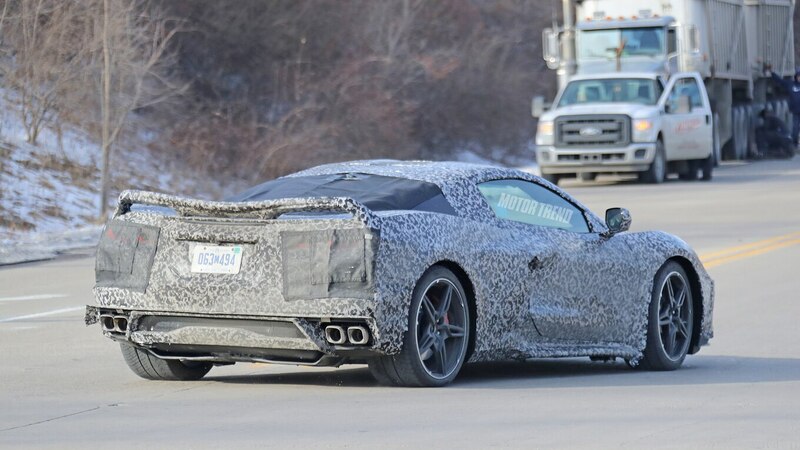 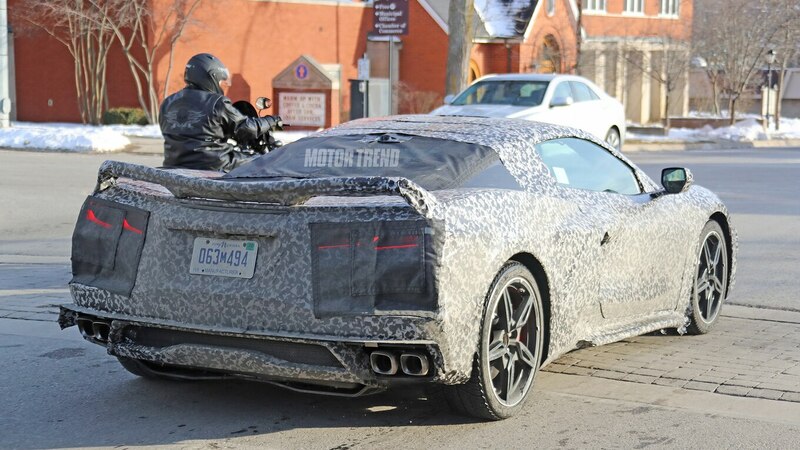 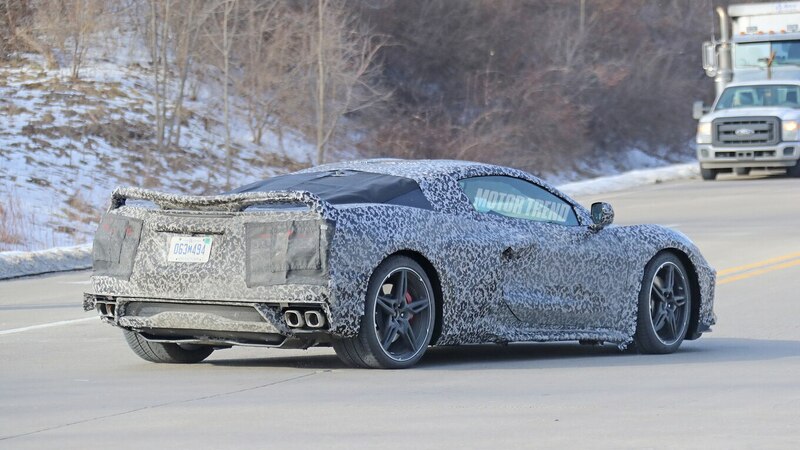 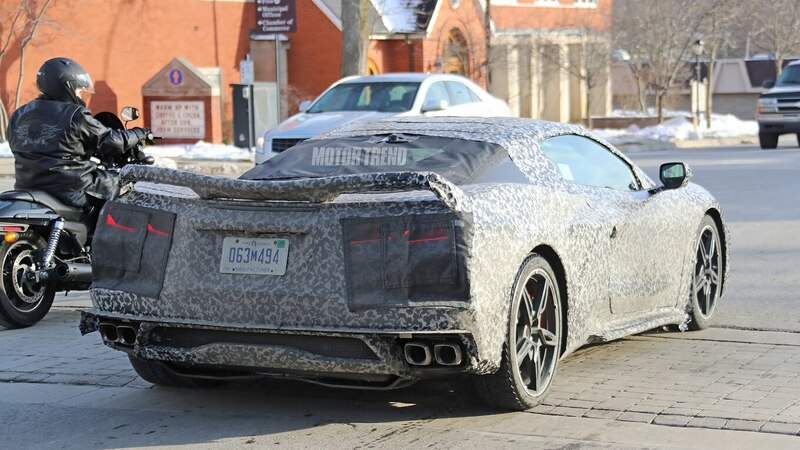 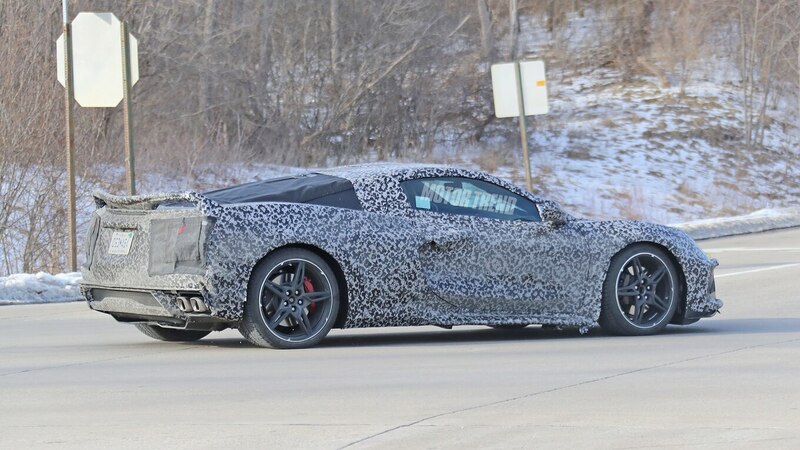 Interestingly, despite the Corvette going mid-engine, it looks like the taillights are very similar to the ones on the current C7. 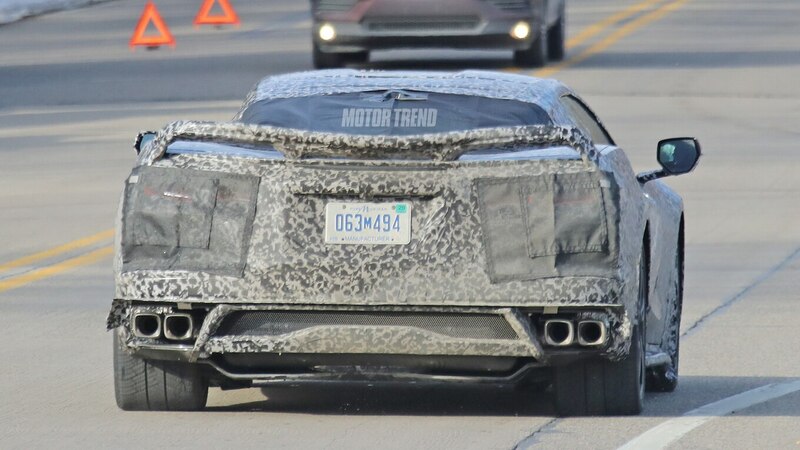 And even though it’s now required by law, we have to wonder if the rearview camera will be so prominent on the production version. 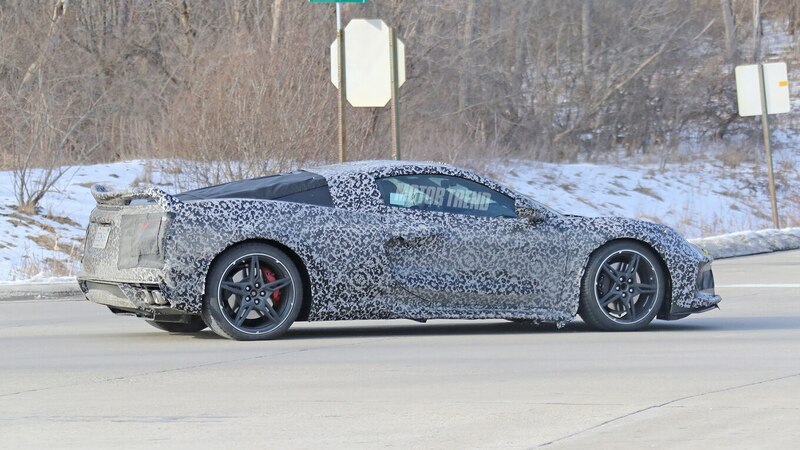 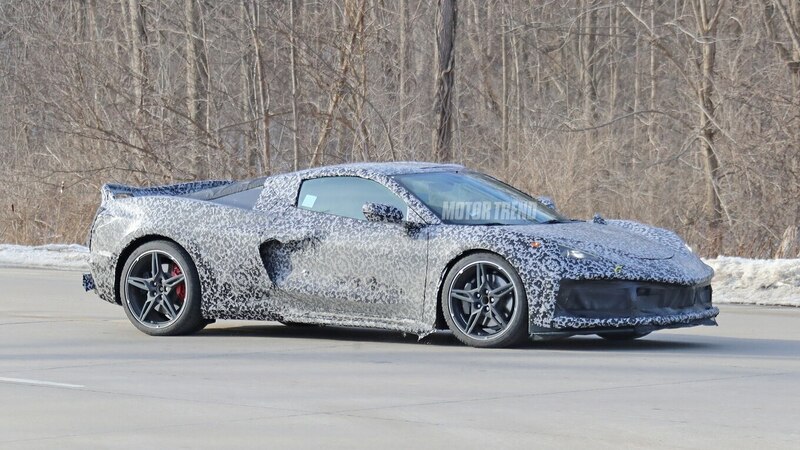 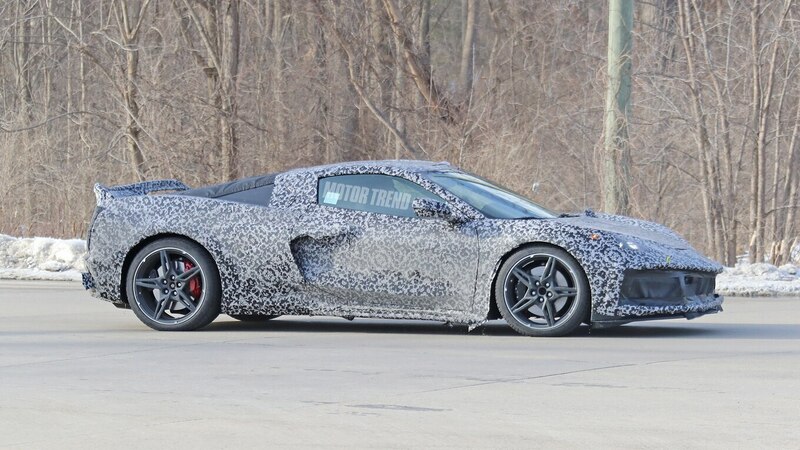 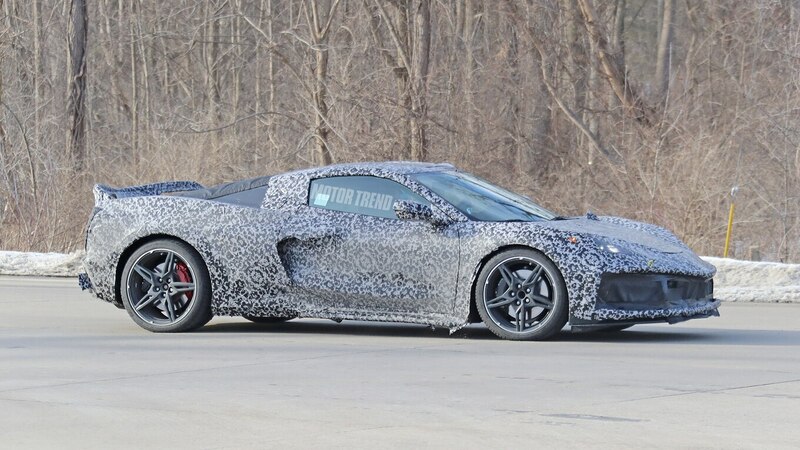 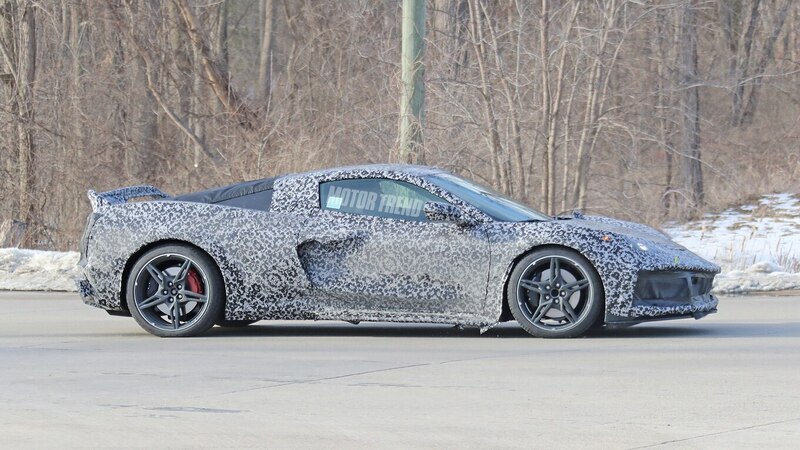 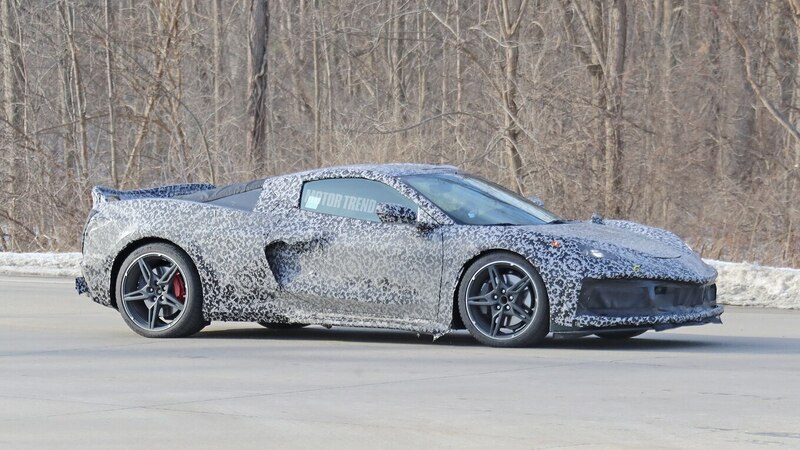 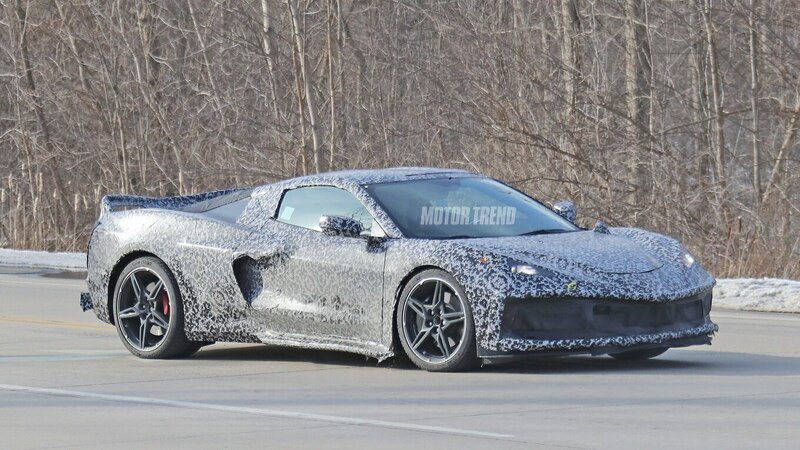 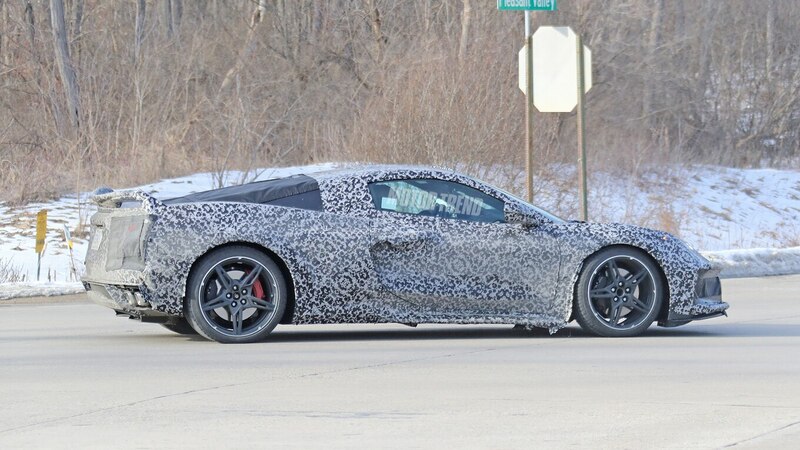 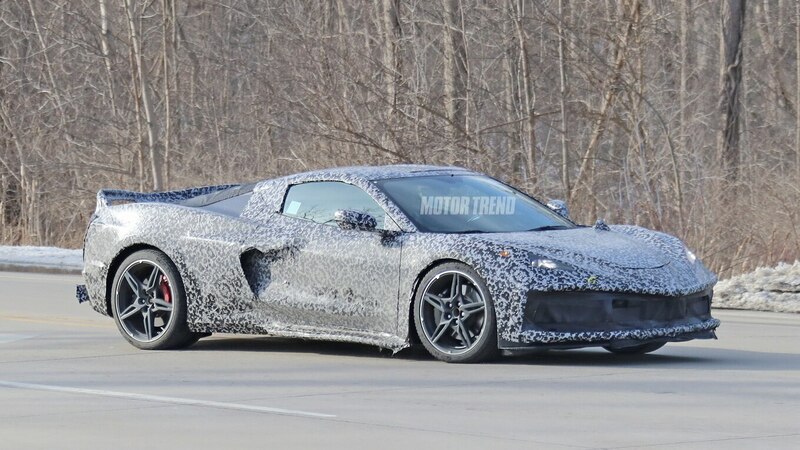 If you haven’t been following the mid-engine Corvette saga, here’s what we know so far. 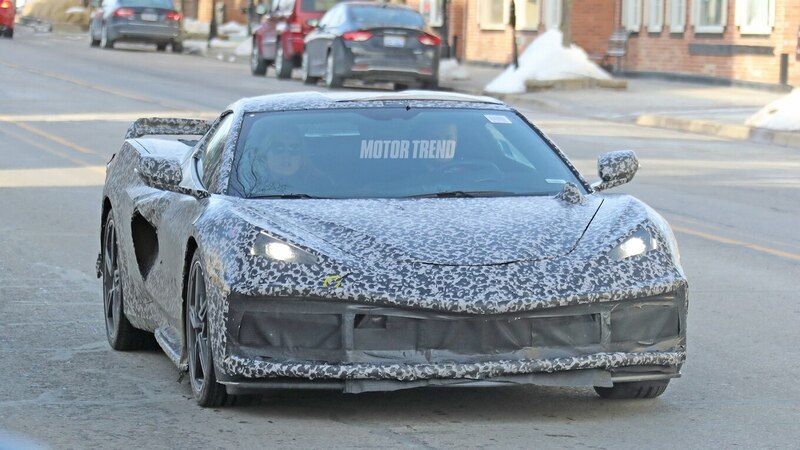 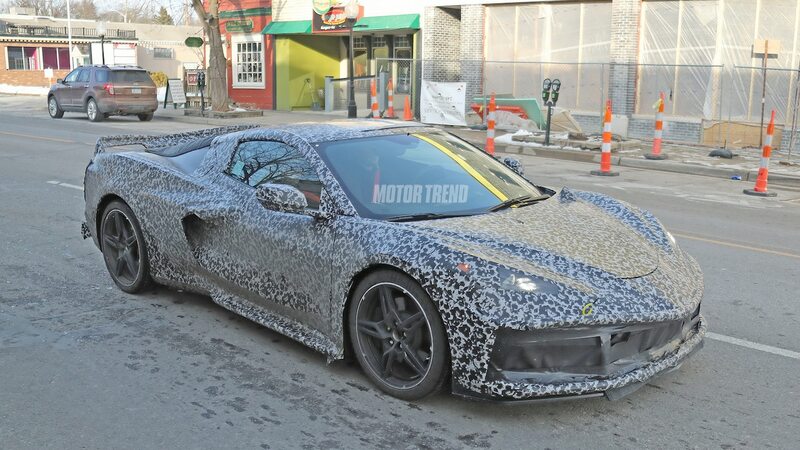 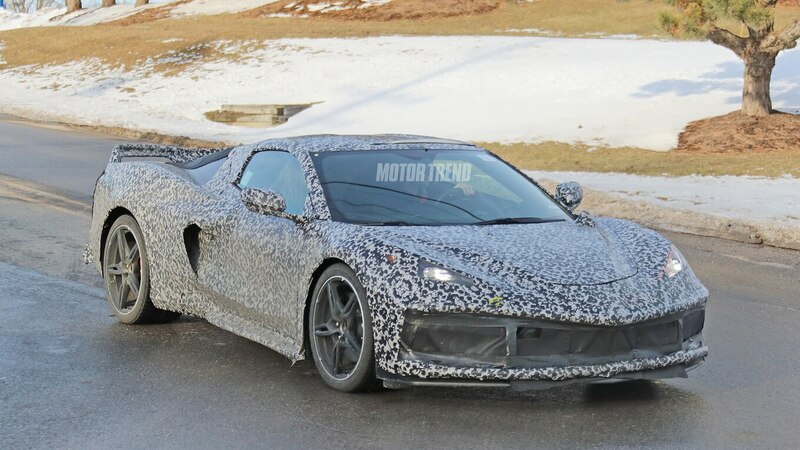 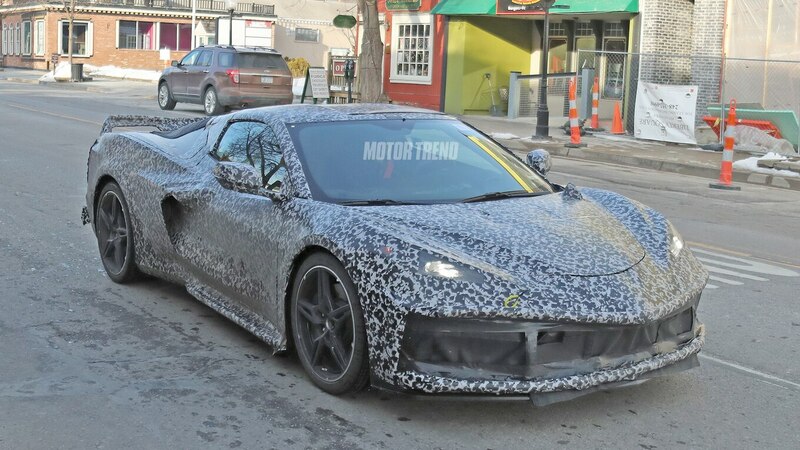 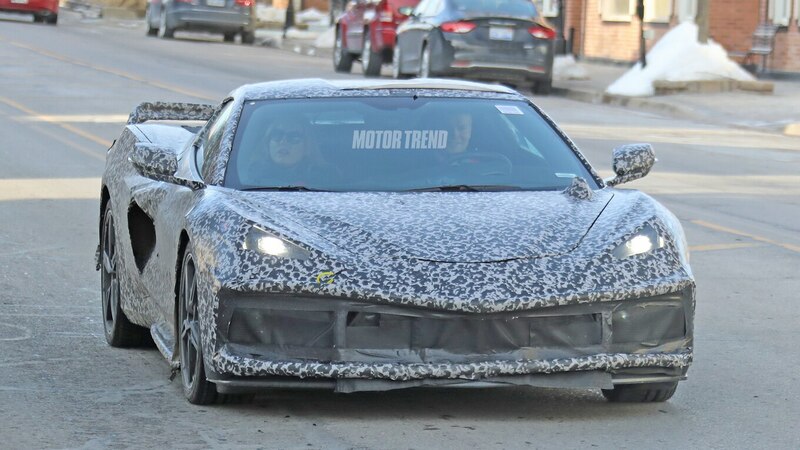 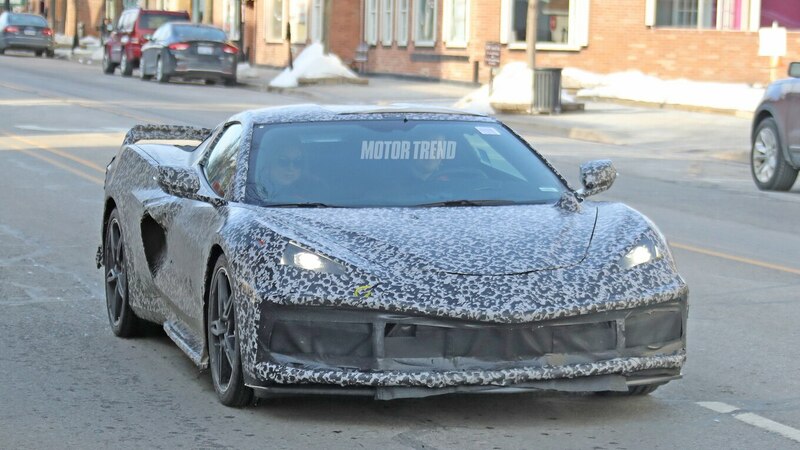 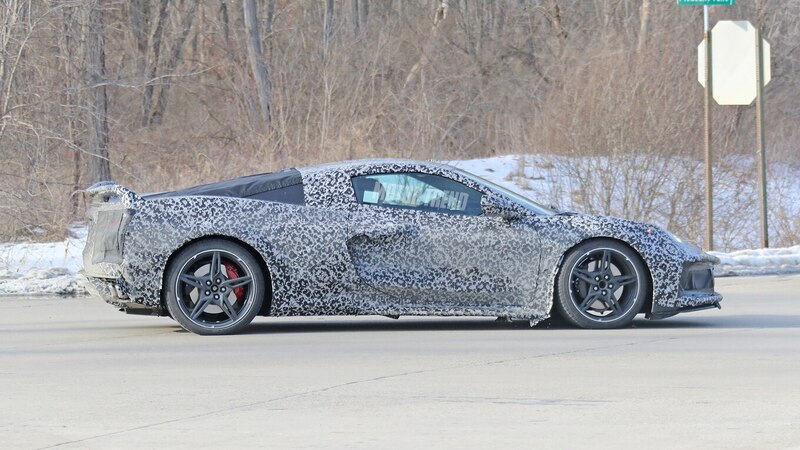 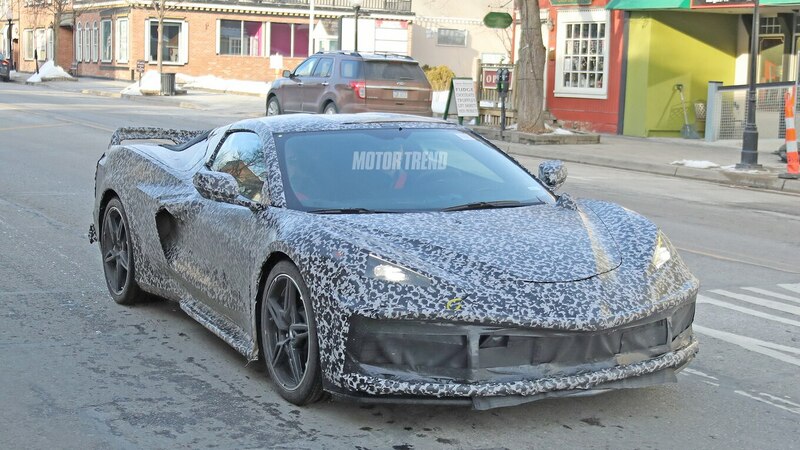 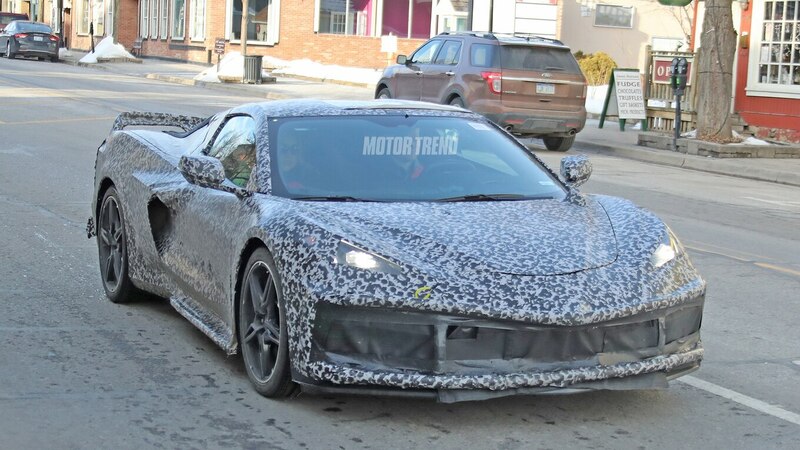 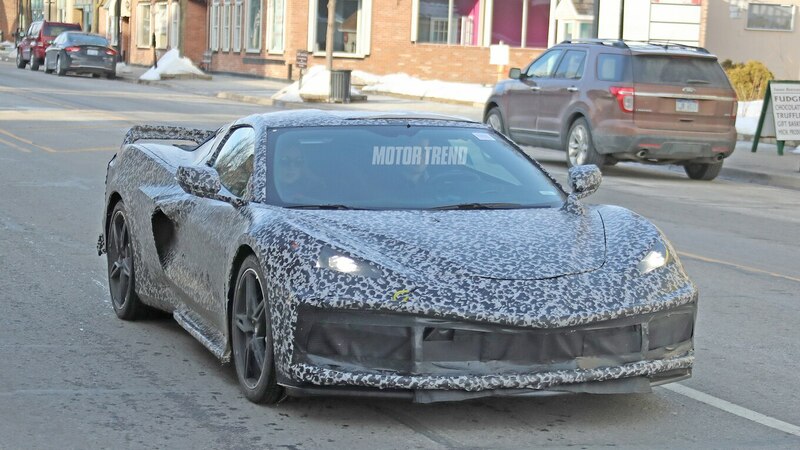 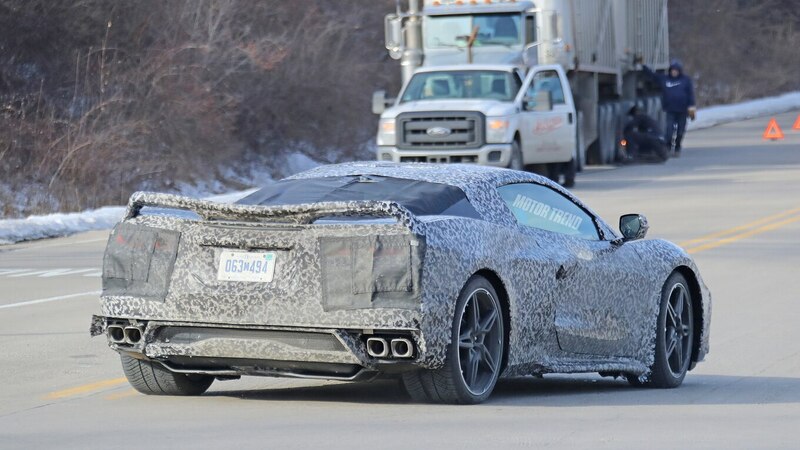 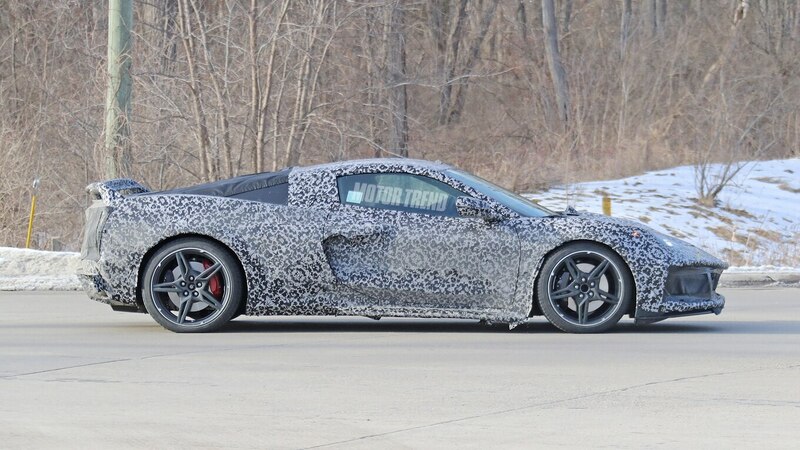 The C8 will likely be more premium than the C7, judging by some interior spy shots captured in January. 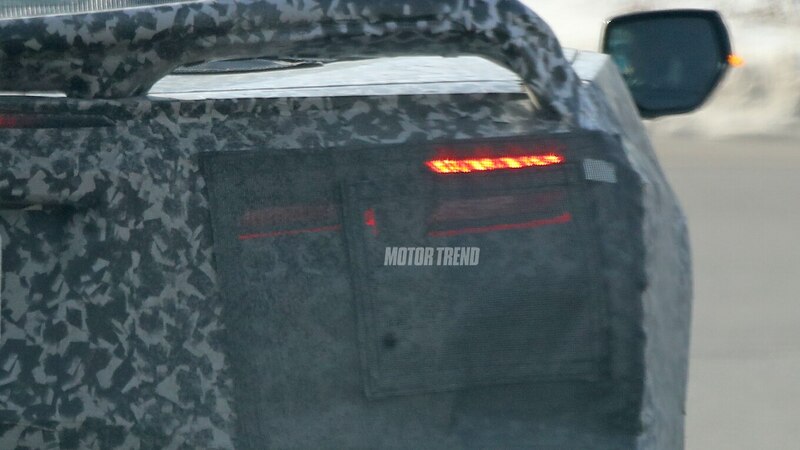 Those shots revealed a unique center console with buttons arranged in single-file. 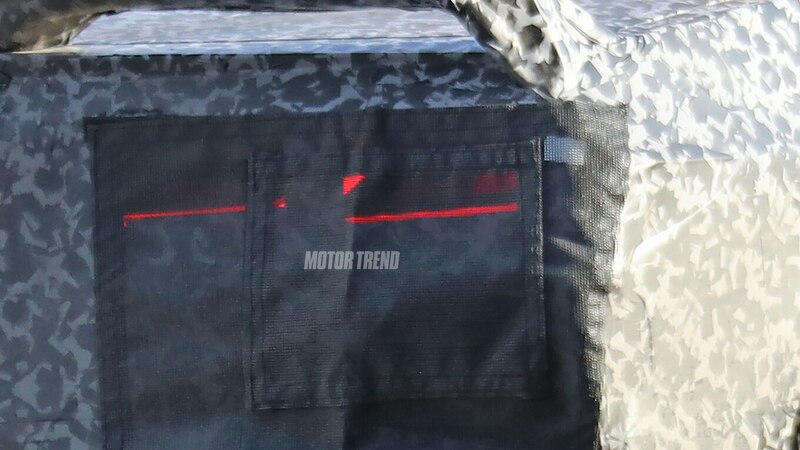 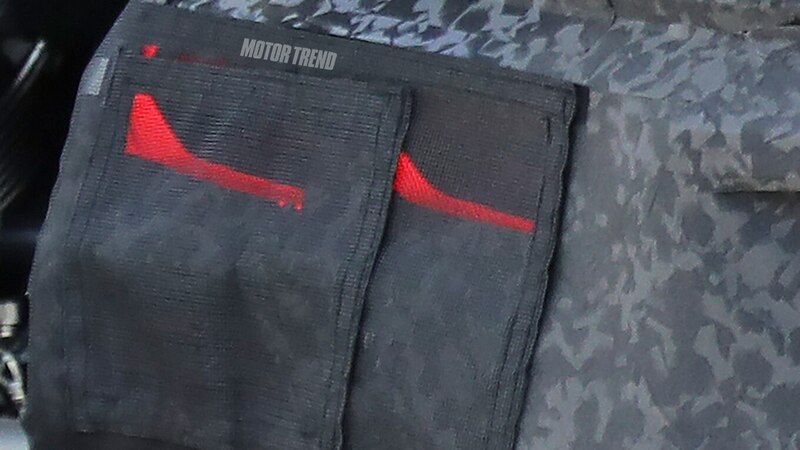 We’ve also seen what is likely to be the mid-engine Corvette’s key fob, which hints at a power retractable roof option. 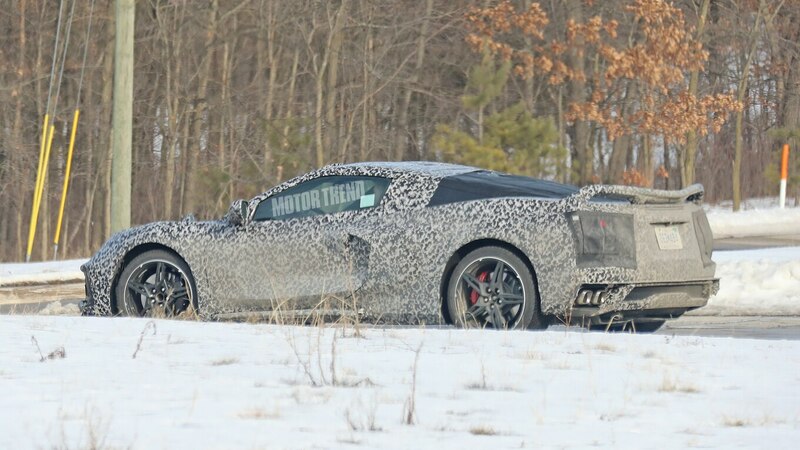 Engine choices are still unknown, but rumors have swirled of a new dual-overhead-cam V-8 design, possibly involving forced induction. 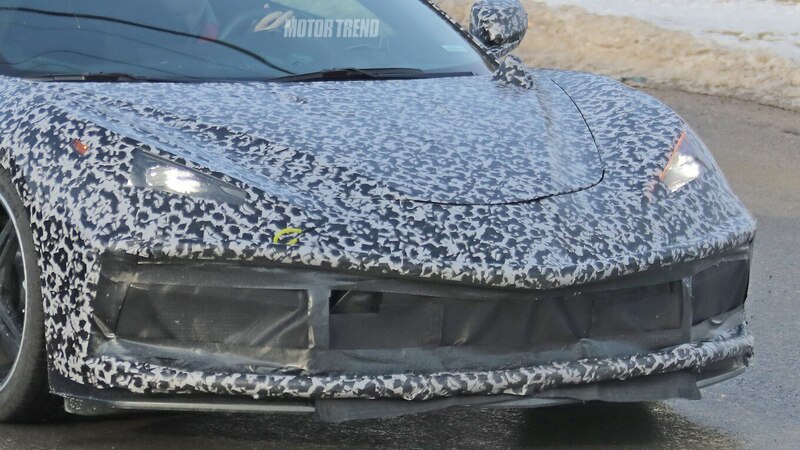 With so many photos, it’s also possible we’ve missed a few details. 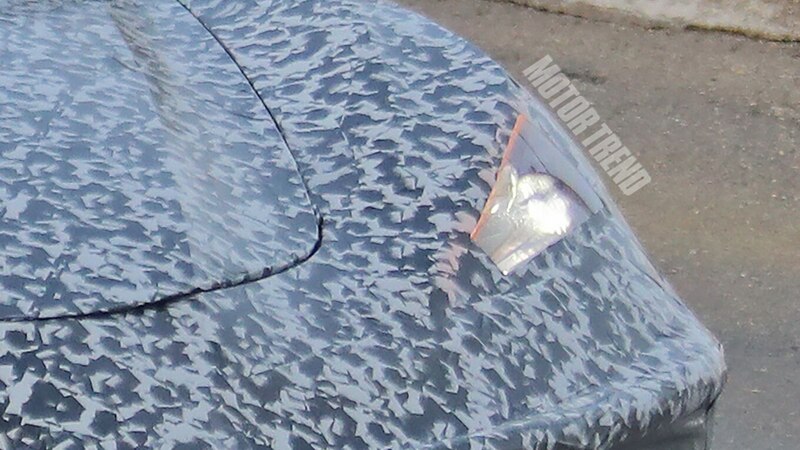 If you spot anything else, be sure to point it out to us on Facebook.